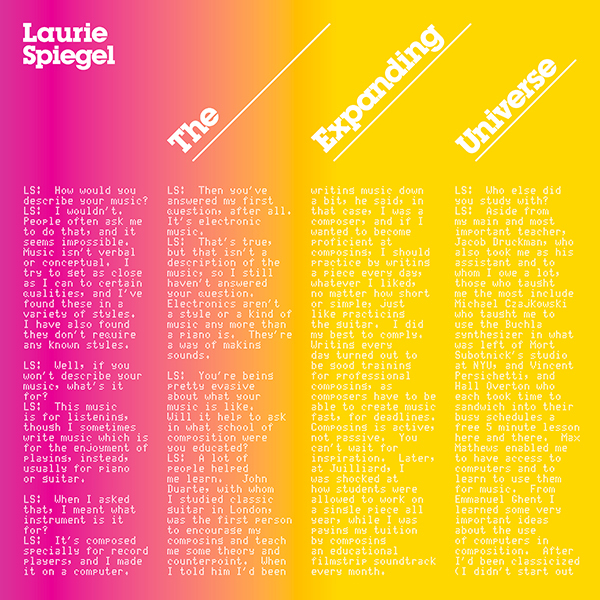 Laurie Spiegel’s second full-length album, Unseen Worlds, arrived just over ten years after her debut album. Having realized the pieces found on The Expanding Universe (1980) on an instrument no longer available to her, the GROOVE System at Bell Laboratories, Spiegel moved on to composing and developing for the Alles Machine, alphaSyntauri, McLeyvier and various other instruments before creating an instrument entirely her own. Spiegel created “Music Mouse – An Intelligent Instrument” on a Macintosh 512k so that she could have an instrument that was not general purpose but a small, specialized, and well defined musical instrument for and by her that she did not have to compromise on or risk losing access to it. While it was a very personal instrument for Spiegel, demand among friends and colleagues nevertheless grew until “Music Mouse – An Intelligent Instrument” became a commercial product for the Macintosh, Amiga, and Atari personal computers with a devoted popular following that continues to this day, despite the obsoletion of those platforms. At the time of her Unseen Worlds album’s original release in 1991, the issuing record label turned out to be going out of business, dissolved and disappeared, sending the album immediately into obscurity. 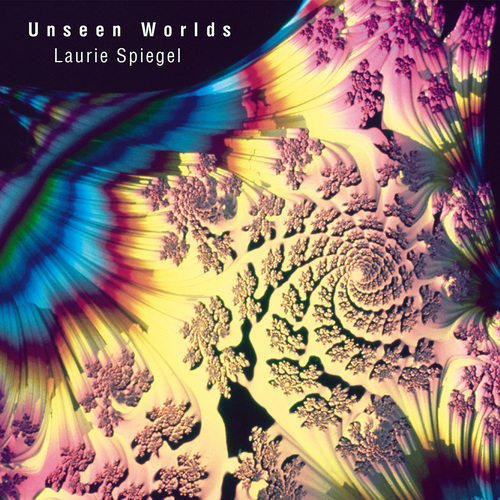 Outside of a private CD edition issued by Spiegel on her own Aesthetic Engineering label in 1994, this new edition represents the first proper commercial release of Unseen Worlds.